I have master degrees in Physics and History and a PhD in Philosophy from the University of Amsterdam, for a thesis on the problem of methodological individualism in the social sciences. I joined the Philosophy Section in Delft in 1996, first as assistant professor, from 2004 as associate professor. From 1999 to 2011 I was co-leader of the research programme first titled Philosophical Reflection on Technology, then Philosophy of Technology, Design and Values. My research covers the following topics: (1) The ontology and epistemology of artefacts in technology. One thread here is conceptualizing of artefacts as organised jointly with human agents into systems, for which I have coined the notion of an instrumental system. (2) Aspects of normativity in relation to artefacts and functional entities more generally. (3) Problems occurring in multi-criteria decision making, as they abound in engineering design but also more generally. I have designed and teach courses in argumentation, critical thinking, philosophy of science and engineering, decision theory for groups for groups of up to 150 students from various science and engineering programmes. Additionally I tutor smaller groups on critical reflection on technology and ethical issues related to technology and specific technologies. In the past I have taught courses on general philosophy of technology, environmental philosophy, and the analysis of social phenomena. 'Philosophy of technology as a serious branch of philosophy: the empirical turn as a starting point’ (jointly with Stefan Koller), in: Philosophy of technology after the empirical turn (Philosophy of Engineering and Technology, vol. 23), eds. 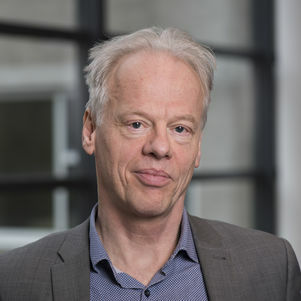 M. Franssen, P.E. Vermaas, P. Kroes & A.W.M. Meijers, s.l. : Springer, 2016, pp. 31-61. ‘Design for values and operator roles in sociotechnical systems’, in: Handbook of ethics, values, and technological design: sources, theory, values and application domains, eds. J. van den Hoven, P.E. Vermaas & I. van de Poel, Dordrecht etc. : Springer, 2014. Artefact kinds: ontology and the human-made world, eds. M. Franssen, P. Kroes, T.A.C. Reydon & P.E. Vermaas, Synthese library, vol. 365, Dordrecht etc. : Springer, 2014. ‘Modelling systems in technology as instrumental systems’, in Model-based reasoning in science and technology: theoretical and cognitive issues, ed. L. Magnani, Heidelberg etc. : Springer, 2014, pp. 543-562. ‘Technology, Philosophy of’ (jointly with Gert-Jan Lokhorst & Ibo van de Poel), in Stanford Encyclopedia of Philosophy, E. Zalta ed., first published February 20, 2009; major revision December 13, 2013. ‘An impossibility theorem for verisimilitude’ (jointly with Sjoerd Zwart), Synthese 158, 2007, 75-92. ‘Arrow’s theorem, multi-criteria decision problems and multi-attribute preferences in engineering design’, Research in Engineering Design 16, 2005, 42-56. ‘The ocular harpsichord of Louis-Bertrand Castel. The science and aesthetics of an eighteenth-century cause célèbre’, Tractrix. Yearbook for the History of Science, Medicine, Technology and Mathematics 3 (1991), 15-77. Archimedes in bad: mythen en sagen uit de geschiedenis van de wetenschap (in Dutch), Amsterdam: Prometheus, 1990.